My pumpkin supply is running short here in Asia, but that’s OK because I was forced to try something different this fall. 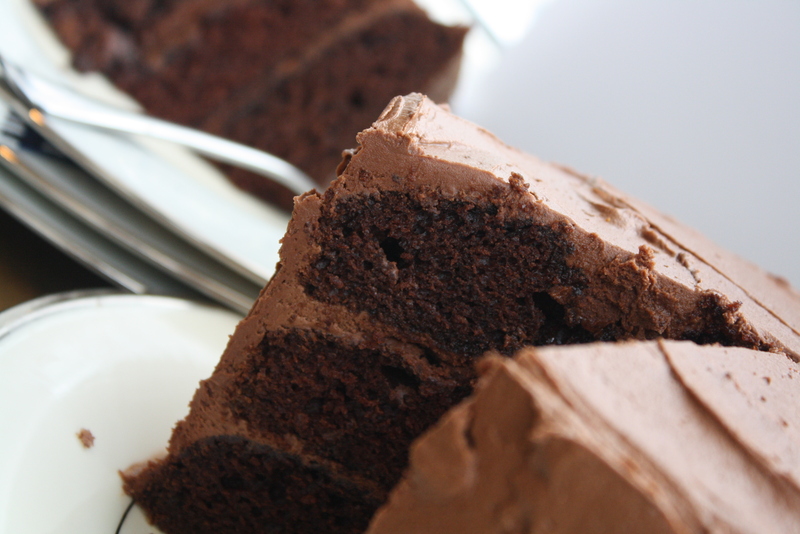 I’d completely forgotten how amazing the perfect chocolate cake can be! I’ve never had a go-to recipe, but when I saw this in Bon Appetit it looked like I had met my match. 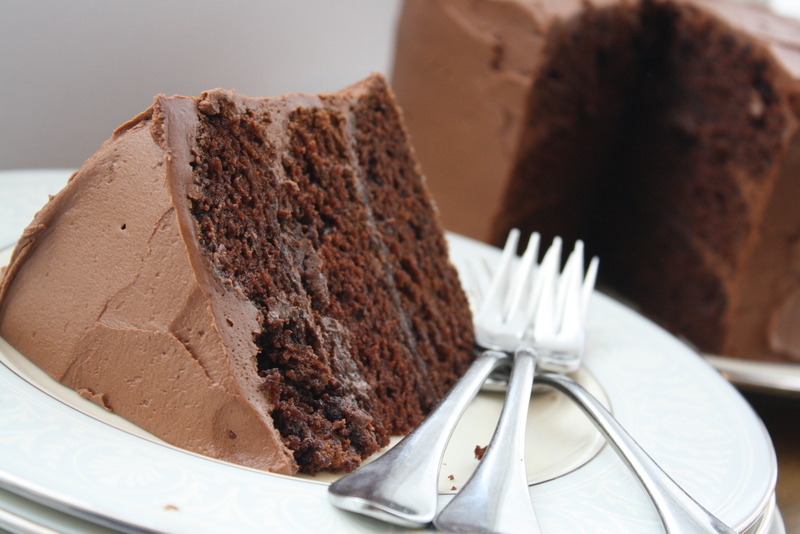 I don’t go for light and fluffy when it comes to my cakes, particularly the chocolate variety. I like dense (check), rich (check) and moist (check). The cake was fab. And the frosting? Beyond. Dangerous. 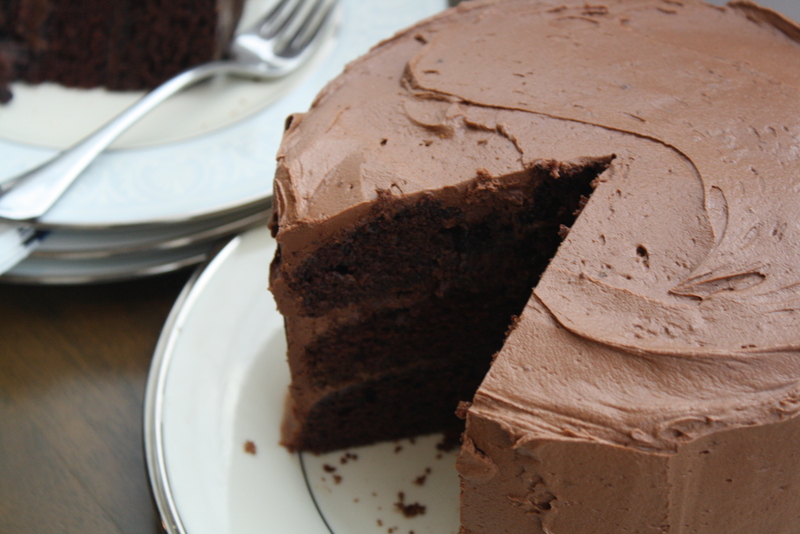 Anytime I need a chocolate cake, this will be on the menu. Seriously, didn’t even miss my pumpkin in the middle of October, that’s how good it was! I’ve always had some doubts about the mayo in this cake but it’s gotten so many rave reviews and looks so good that I really should give it a try! I’m a dense chocolate cake girl as well! I bet the mayo made this cake so moist! Haven’t tried it myself but I can only imagine. Looks great! Found you through Tastespotting with these lovely photographs! I think I’ll just have to finally try the mayo version of chocolate cake! YOU MUST HAVE WORKED SUPER HARD ON ALL OF THESES RECIPES! THEY’RE WONDERFUL!